Halloween. Oh Halloween is fast approaching. Everyone’s getting ready in decking their halls for the most anticipated event this ghoulish season of souls. You have to prepare for the candies that you have to give for kids who go trick and treating at every doorstep. Along with that, you should also dress up eventhough you’re staying up a bit at home. It’s a struggle every year actually. You have to be creepy and spooky for everyone. And along with a challenging costume, you also have a quest. Some mission to do before you spook everyone for Halloween. 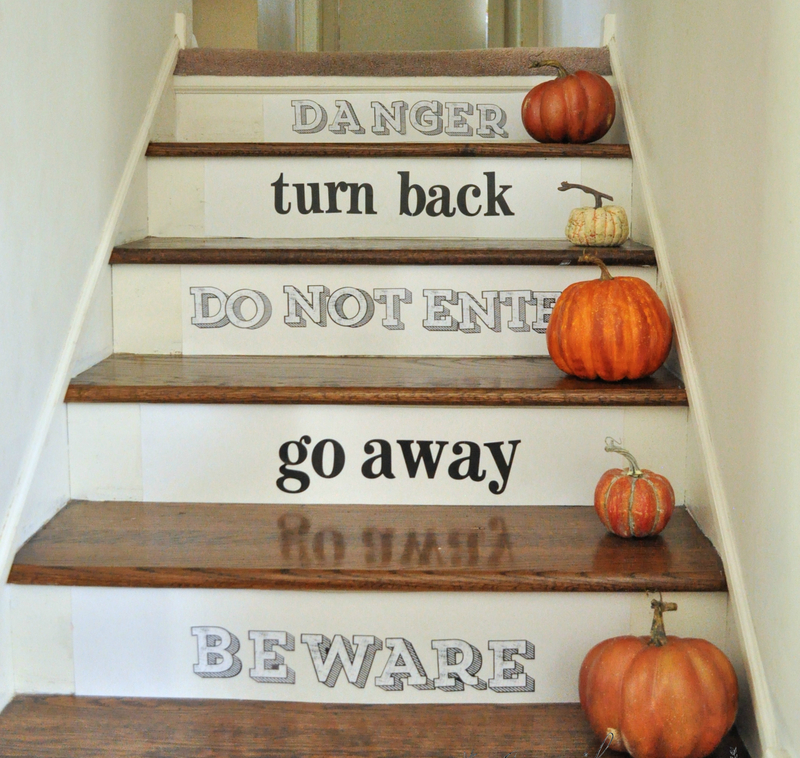 Decorating your stairs is also a challenge. Probably you are tired with all those pumpkin embellishments and black paints. It’s almost the same every year. And if you are tired already with that same concept, then there are several themes for a change. 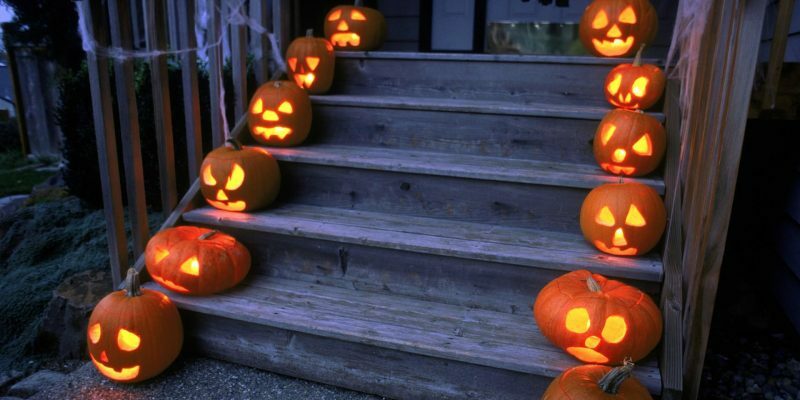 Themes that would probably scare out your friends as they pay a visit with your creepy house. 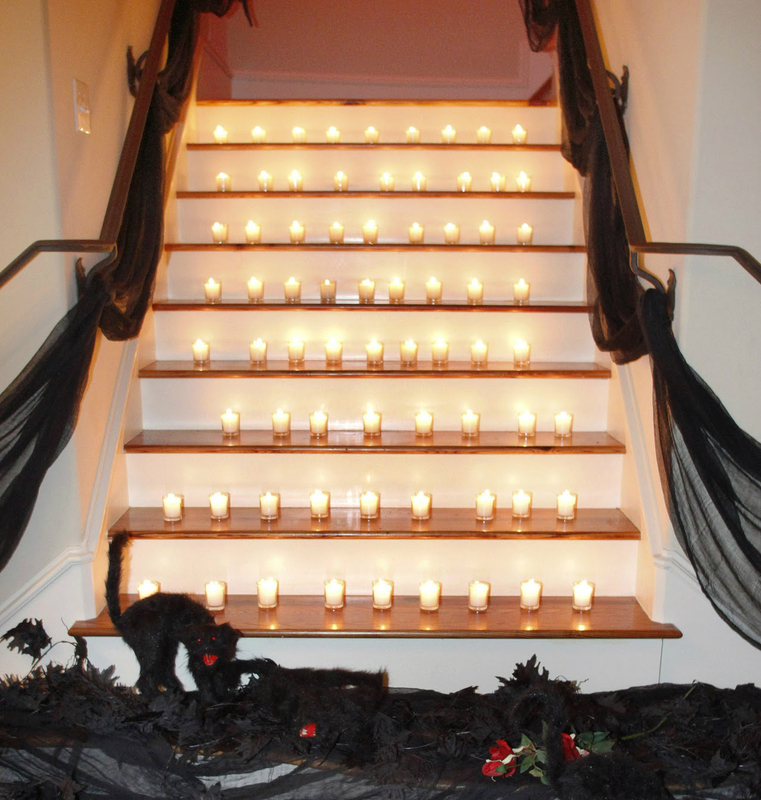 Now, if you don’t want your stairs to be used for Halloween, better use old candles. Make sure that they don’t make contact with the wood portion of your stairs. You don’t want to cause huge fire for Halloween. Then along with that, post a danger tape along the steps. See the yellow tape in crime scenes? Yes, that’s it. Putting one for your stairs will rid out other guests to climb up the second floor. This also prevents other kids from clumsily barging the upper corner of your home. 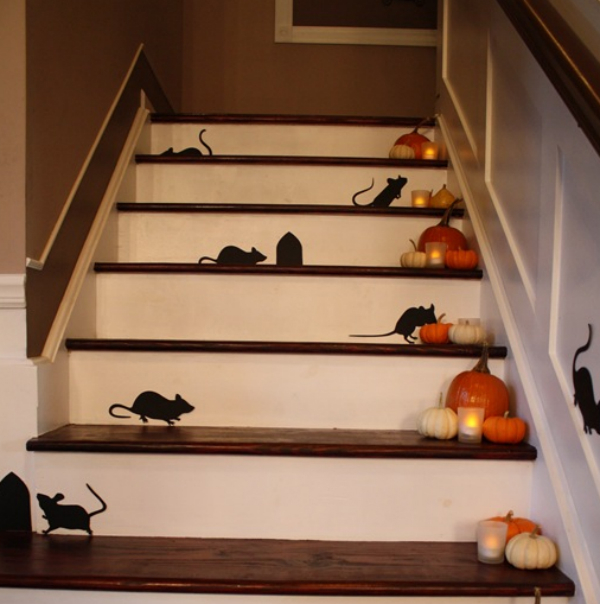 Another way of driving away other people from your stairs is that you should paint some rats in each of its steps. Paint as many as you can! Remember that your stairs should be temporarily painted with white color so that you can fully emphasize the creepy crawling design. Remember the green wickedness of Maleficent? I mean the aura surrounding her. You can make inspiration of her badness. And one way of perfecting it is that you should paint one for stairs. 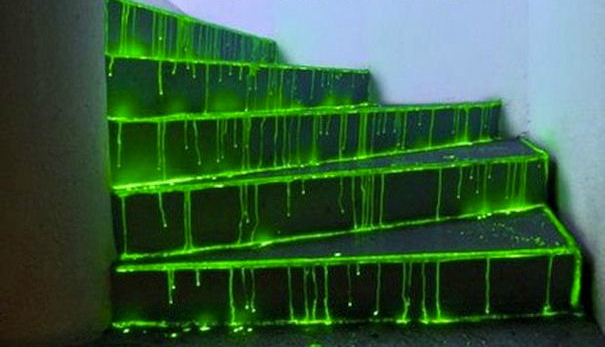 If you want your guests to take a trip upstairs, the you should make sure that they’ll be safe and guided enough with the dripping neon paints in your stairs. So how do you make this one? Have a trip to a hardware store and purchase a green paint. Mix it up with detergent and it will glow for sure. Line up a paint on the stair’s edges and other corners. Make sure that you turn off your lights when you want to emphasize its glowing effect. For more spooky effect, match it up with hanging decorations from above. A creepy zombie dummy will do as a Halloween decoy.